Aging affects functioning of the whole body, but often, people are just not aware or are not prepared for some health issues. In today’s article we will introduce the readers to the most common age-related oral diseases. Reduction of salivation can be caused by a range of factors, including the receipt of certain medications, Sjogren’s syndrome or radiation therapy of tumors in the head and neck area. Saliva provides a natural protection of the mouth, washing away food debris and preventing the uncontrolled growth of pathogenic bacteria. In case of insufficient secretion of saliva greatly increases the risk of caries and periodontal disease, which, in their turn, entail other problems of dental health. It happens due to the thinning of the enamel (the underlying layer of dentin, which has a darker color, becomes visible through the thin enamel), and prolonged use of food and drinks leading to changes in enamel color. Very often it is possible to return the whiteness by simple teeth whitening procedure, whereas in some cases more complex procedures of cosmetic dentistry may be required. As a result of aging and deterioration of oral health care, the recession (lowering) of the gums is frequently observed. The result is the exposure of the tooth root, which is much less protected and more vulnerable to the development of caries. This disease is typical not only for elderly people, it occurs in people of all ages. However, taking into consideration the long progression of the disease, its severe forms are more specific to elderly people. The longer period the disease remains undetected, the greater amount of oral tissues get involved in the pathological process. Although periodontal disease is caused by dental plaque, there are other factors increasing the risk or severity of the disease. They include food debris between the teeth, smoking, occlusion pathologies, poorly made dental prostheses, malnutrition and systemic diseases (such diseases like anemia, diabetes). Although the periodontal disease occurs because of disorders in the whole body, its development may be prevented. At early stages the symptoms of the disease can be completely eliminated. The treatment at the later stages may require surgical intervention. If you notice any of these symptoms: redness, swelling and bleeding gums, mobility of teeth, bad taste and bad breath, there is an urgent need to consult your dentist. Which factors complicate the gum diseases? 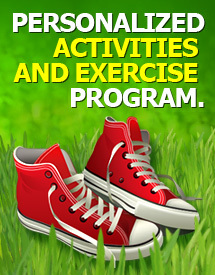 - Chronic diseases such as some heart diseases, diabetes and cancer. It is important to note that the prevention of gingivitis and periodontal disease can help keep your teeth until old age. It happens due to many reasons, including the following: as a result of periodontal disease, injury, or tooth decay which was left untreated. The lost tooth should be replaced as soon as possible to prevent misalignment of teeth, which can cause malocclusion and lead to dysfunction of the temporomandibular joint (TMJ). The reason for inflammation of the soft tissues under the dentures can become bad-fitting dentures, insufficient oral hygiene or yeast-like fungi Candida albicans. First and foremost is a thorough oral hygiene throughout the whole life. Proper oral hygiene lies in brushing teeth, at least two times a day during two minutes, every day flossing and using antibacterial mouthwashes. 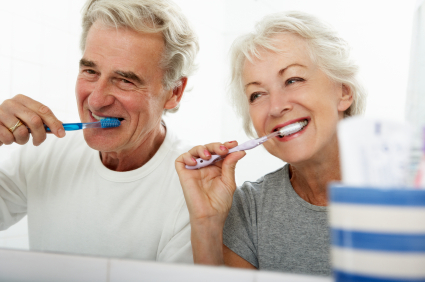 With age, even usual oral hygiene may for many people become quite a challenge, due to developing arthritis or loss of strength and manual dexterity. Fortunately, now many products that can help in this situation began to appear on the market. In addition, it is important not to miss any scheduled visit to your dentist to carry out preventive examinations and some professional oral hygiene. Take care about your teeth and stay healthy! This entry was posted in Health and tagged dental helth, diseases, health problems, oral hygiene, personal care on October 27, 2015 by admin.